Is the Presumption of Validity Dead in Substitute Claims Issued as a Result of Motions to Amend After PTAB Proceedings? In a White Paper published by Askeladden LLC’s Patent Quality Initiative, we analyze the proper role of a the presumption of validity for claims that have been amended in post-issuance proceedings like Inter Partes Review (IPR) proceedings under the Smith-Leahy American Invents Act (AIA). A full copy of our paper is available here. The following is an excerpt discussing our thesis and conclusion that the presumption of validity should not apply to substitute claims, since such claims have never been fully examined and thus not entitled to the presumption that they were. Under Section 282 of the Patent Act of 1952, “[a] patent shall be presumed valid” and “[t]he burden of establishing invalidity of a patent or any claim thereof shall rest on the party asserting such invalidity.” 35 U.S.C. § 282 (2018). As Judge Rich, one of the authors of the 1952 Patent Act explained, the rationale for this presumption is based on “the basic proposition that a government agency such as the [PTO] was presumed to do its job.” American Hoist & Derrick Co. v. Sowa & Sons, Inc., 725 F.2d 1350, 1359 (Fed. Cir. 1984). This presumption makes sense in the context of the statutory scheme of the 1952 Act which first codified this presumption, where a patent application follows an “inquisitorial process between patent owner and examiner.” See SAS Institute, Inc. v. Iancu, 138 S. Ct. 1348, 1353 (2018). Thus, the examiner, acting on behalf of the government, can be presumed to have performed his or her job if and when a patent claims issue. However, in 2011, under the Smith-Leahy American Invents Act (“AIA”), unlike the original prosecution, or even traditional ex parte reexamination, “the petitioner is master of its complaint and nor­mally entitled to judgment on all of the claims it raises, not just those the decisionmaker might wish to address.” Id. at 1355 ; see id. at 1356 (“[T]he petitioner’s petition, not the Director’s discretion, is supposed to guide the life of the [inter partes review] litigation.”). To the extent that all the PTAB is performing is “a second look at an earlier administrative grant of a patent,” Oil States Energy Servs., LLC v. Greene’s Energy Grp., 138 S. Ct. 1365, 1374 (2018) (quoting Cuozzo Speed Techn. LLC v. Lee, 136 S. Ct. 2131, 2144 (2016)), continuing to apply this presumption to claims that survive a PTAB proceeding (like an inter partes review) continues to make sense. After all, the government did its job in the first instance in the original inquisitorial examination, and a third party challenger was unable to demonstrate error. However, since the Federal Circuit’s decision in Aqua Products, Inc. v. Matal confirmed that the burden of persuasion on a the patentability of amended claims in a motion to amend in an inter partes review proceeding (and presumably other post issuance PTAB proceedings) is placed on the petitioner, the theoretical rationale for Section 282(a)’s presumption of validity is no longer present for such amended claims. 872 F.3d 1290 (Fed. Cir. 2017) (en banc). In particular, there is no government agency that is tasked with performing the inquisitorial examination that gave rise to the original presumption. How can there be a presumption that the government agent charged with examining the patent claims did his or her job, when there is no such person assigned to perform that job? In Part I of our paper, we examine the historical roots of Section 282(a) and the presumption of validity and its rationale and applicability to claims that issued through original prosecution and traditional inquisitorial reexamination proceedings. In Part II, we examine how previously issued claims and amended claims presented in motions to amend in post issuance proceedings before the PTAB after Aqua Products are addressed and the procedures and duties of the relative participants with respect to testing each such claim. In Part III, we analyze the proper role of the presumption of validity for claims that issue in post issuance proceedings, both previously issued claims and amended claims. With respect to amended claims in post issuance proceeding, we explain our conclusion as follows. The Federal Circuit previously determined that the “presumption [of validity] applies to all issued claims,” but “[t]hat does not mean, however, that [a court] should not consider the prosecution history” when there are “quirks in the prosecution history.” Sciele Pharma., Inc. v. Lupin Ltd., 684 F.3d 1253, 1261 (Fed. Cir. 2012). In the case of substitute claims that issue as a result of motions to amend during post-issuance proceedings, there certainly are “quirks in the prosecution history” as there is no prosecution history at all. The fact that an examiner did not engage in the typical inquisitorial examination process or previously consider prior art references could impact the weight that a court or jury assigns to the evidence. “For example, it could be reasonable to give more weight to new arguments or references that were not explicitly considered by the PTO when determining whether a defendant met its burden of providing clear and convincing evidence of invalidity.” Id. at 1260. Unlike the initial prosecution process, there is no government agent charged with examining substitute patent claims that issue as a result of motions to amend during post-issuance proceedings. Under the logic of Sciele, it would be reasonable in such instances to give more weight to all arguments and references as they were never considered by the PTO. This falls in line with the reasoning of the Supreme Court in Microsoft Corp. v. i4i Ltd. Partnership, 131 S.Ct. 2238 (2011). Specifically, Justice Sotomayor pointed out that there is “[n]othing in [Section] 282’s text suggests that Congress meant to depart from that understanding to enact a standard of proof that would rise and fall with the facts of each case.” Microsoft, 131 S. Ct. at 2250. Further, the Court indicated that in cases where evidence was never considered by the PTO, the cases should be read to reflect the “commonsense principle” that “if the PTO did not have all material facts before it, its considered judgment may lose significant force.” Id. at 2251. Thus, the “challenger’s burden to persuade the jury of its invalidity defense by clear and convincing evidence may be easier to sustain.” Id. While overcoming Section 282(a)’s presumption of validity should be easier in theory with respect to substitute claims, as a practical matter, it likely will still prove to be difficult. Faced with instructions that all patent claims are presumed valid and that invalidity must be proven by clear and convincing evidence, and an understanding that the Patent Office already took a second look at an asserted patent and issued new substitute claims, a jury will likely have difficulty understanding a further instruction that evidence not presented during an inter partes review proceeding should be weighed more heavily, much less ultimately finding a substitute claim invalid when sufficient evidence has been presented. Nonetheless, without a full inquisitorial approach, claims amended in an inter partes review proceeding or other post-issuance challenge are likely to be subject to a greater scope of challenges, since the foundation for the presumption of validity that otherwise exists is no longer present. Thus, as Justice Sotomayor explained, challenges on grants not already raised, “may be easier to sustain.” Microsoft, 131 S. Ct. at 2251. A presumption of validity that is based on the assumption that government officials are presumed to have done their job is reasonable when a government office has been so tasked. However, in the context of amended claims coming out of an inter partes review, the rationale falls apart. No presumption should remain for such claims, at least as long as the burden in an inter partes review rests solely upon a petitioner with respect to substitute claims offered by amendment. Charles R. Macedo is a Partner at Amster, Rothstein & Ebenstein LLP, where he advises and litigates in all areas of intellectual property law, including patent, trademark and copyright law, with a special emphasis in complex litigation. He also assists clients in obtaining, maintaining and enforcing patent and trademark portfolios. He has successfully recovered domain names registered to others using clients’ trademarks. Mr. Macedo is also the author of the book, The Corporate Insider’s Guide to U.S. Patent Practice, originally published by Oxford University Press. For more information or to contact Mr. Macedo, please visit his Firm Profile Page. Christopher Lisiewski is a Law Clerk at Amster, Rothstein & Ebenstein LLP and recent graduate of Fordham University School of Law. At Amster, Rothstein & Ebenstein LLP, he has worked in all areas of intellectual property law, including patents, trademarks, copyrights, and unfair competition. He has assisted clients in obtaining, maintaining, and enforcing their intellectual property portfolios. Sean Reilly is General Counsel of Askeladden and Senior Vice President and Associate General Counsel of The Clearing House Payments Company, where he directs intellectual property issues. He is a registered patent attorney whose principal responsibilities include advising members of The Clearing House’s senior business team on vital cybersecurity, intellectual property and technology law issues and transactions. Mr. Reilly coordinates with industry executives and senior lawyers from the nation’s leading banks on technology law issues and initiatives of concern to the financial services industry. Before joining The Clearing House, Mr. Reilly was in private practice and worked at the United States Patent and Trademark Office as a patent examiner. There are currently 13 Comments comments. Nice theft trolling job done by Askeladden. Legally flawed, but when has that stopped anything by the efficient infringement lobby. Quick point, the amendments in IPR necessarily are more narrow than the original grant. You can’t broaden claims. The original claims were fully examined and during an IPR, there was an attempt to use hindsight logic to combine multiple prior art references and an overly broad (BRI) interpretation of the claims to find the very edges of the patent grant may have been too broad (given the broader interpretation and more advantageous burdens of proof, compared to court). The amendments necessarily “shrink” the already vetted right in light of this outer-boundary attack, which is enabled due to the different standards and burden present in the IPRs instead of in court. Hence, the premise (the claims haven’t been examined) is flawed. Not only have they been examined fully (as original claims, prior to their scope being further diminished by amendment), but they have been size-adjusted so that even with overly expanded boundaries and burdens (differing between the PTAB and court). Even with an exhaustive hindsight based and highly funded attack (placing search depth well beyond what can reasonably be expected in general from the USPTO), the claims have once again been confirmed as valid (by moneyed interest typically against small underfunded entities, so that the legal “doubt” largely favors the funded petitioner with unlimited resources and the right to attack first (i.e., ambush the patent owner) after conducting deep research supported by an paid expert shill during an expedited process with limited discovery) . The presumption of validity should be STRONGER for amended claims, as is evident to any honest practitioner and as expressly noted during the AIA creation (which is why only narrowing amendments are permitted in IPRs). Ongoing question to Askallen and the PQI (and a point to raise for anyone facing Askelladen in an IPR or Court) – How many paid employees do you have ? Is that number greater than zero. How about the PQI – still zero? Is there complete overlap of “unpaid” PQI employees/members and that of the Clearing House ?Who are the decision makers with regard to IPRs or briefs that Askelladen advocates ? Who pays for these efforts? Under the RPX RPI decision – do you have an even colorable claim of independence from the Clearing House and the underlying banks ? Who is the true real party of interest (RPI) paying the legal fees for your advocacy ? Sunlight is the best disinfectant. Indeed, there are really two separate but related problems here: 1) we’re talking about claims that are *narrower* than those already vetted/granted, and 2) any said narrowing would’ve come about via a *preponderance* standard – a lower bar than the “clear and convincing” standard that the claims would’ve been entitled to *before* any IPR. As a push back then, how many legal citations in the main article are objectively applied out of context of their original decisions and intended meanings? The points made by BKB may then be seen as starting points, to which attempts to take case citations out of context are not only poor advocacy (if done in error), but may well rise to unethical advocacy (if knowingly being misconstrued). That being said, there is a substantive point here in that claim amendments (even ones purported to be narrower than originally allowed claims) are NOT truly examined. This is a point that I myself raised long ago (and perhaps was the first in the blogosphere to have raised that point). One possible problem with such amendments comes from the fact that being “narrower” may not establish just what the proper boundary is. At the institution decision point, the stick in the bundle of granted property rights of the existence and level of presumption of validity is removed. It no longer exists for the initial set of claims, much less for any amendments (narrower or otherwise). As to examined veracity if any claim though, I remain wary. Just because “narrower” does not cut it for me. It is NOT the case that “narrower than a properly allowed claim” is what is forthcoming. The problem here is the AIA itself. It is the AIA that takes sticks out of the bundle of property rights in the first instance. Once those sticks are taken (and no longer exist), the process should have included the necessary protocol for providing a same level of “sticks” to whatever is “republished” as a patent. The AIA did not do that. The pre-grant limit (from the claim) draws a line in the sand against a spectrum of possibilities. BKB wants that full spectrum of within the prior drawn line to be (automatically) considered to be “proper.” But any such notion inherently rests on that original line being drawn where it was drawn. So there IS a problem with the AIA. I do not think that the “proper” solution to that problem is the answer being advanced (which very much harkens to the Efficient Infringer mantras). The “proper” solution is to re-envision entirely the IPR mechanism. This is even more reason why PTAB needs to be before issuance. They cancel or invalidate claims and then the whole patent left is in flux – don’t know what my invention is, don’t know what it isn’t. How can you even move forward in an art with prior art IP invalidated or with uncertain claim territory? No one knows what standard to go beyond. You are close, but I think that it is more subtle. I look at it less of “don’t know what my invention is, don’t know what it isn’t.” since claims are still present and claims (per the words of Congress) dictate what the invention is or is not. “What the claims are” remains as was previous. “Are the claims valid” is what is up in the air. You may be thinking that these two are synonymous, but they are not. Additionally, moving forward is not “impacted” with prior art invalidated (setting aside the “uncertainty” that you associate with claims). Whether or not the items of prior art retain their validity (in view of OTHER prior art) does not change their ability to serve as prior art of themselves for yet new items. As to your point as to “No one knows what standard to go beyond,” THIS does bring up perhaps an interesting way of looking at the situation. Since (per Oil States), patents are merely a Public franchise property right, and the US Government is the Franchisor, then ANY action of the Franchisor putting an item back into circulation as a patent must inure to ALL of the rights of a patent, including both the presence and level of the presumption of validity. This angle removes the strawman of making the petitioner TO BE the examiner, and re-places the onus on the PTAB, as it is the PTAB that has final say as to whether or not the petitioner has proven their case. Under this line of reasoning, it is STILL the USPTO that is “anointing” the item (here, the amended claims coming out of post grant reviews) AS being a patent. If the claims aren’t valid or invalid then what is my INVENTION? How does another inventor or entrepreneur know what they can or can’t infringe upon of my INVENTION? I’m really tired of your (mis)interpretations of what everyone says. You’re not king. Pipe down. As is, you lose even the respect of trying to make a point as you want to cling to an improper understanding of patent law. Maybe you should take a step away from responding when you feel your emotions are out of control. As it is, I need not be “King” for my posts to be entirely correct (which they are). If you want to respond on point, and point out an actual error, then please, I welcome a dialogue. If you just want to say “pipe down,” even as I am correct, then you may — and with all due respect — bite me. Excuse me. You quoted something I didn’t write. Learn to read for comprehension and understanding. If claims are in fuzzy la la land of not valid or invalid (per this decision where allowed claims become narrowed claims that aren’t vetted/allowed) then what is the invention? Is it not true that an invention that is patented is given rights ( franchise or property) that are based on allowed claims? Well the allowed claims were invalidated and narrowed to not-examined thus allowed claims…which is why this article is up. If you don’t know whether a patents claims are valid or invalid then tell me, Anon, what is the invention? So you’re telling me patent applications declare for everyone what the invention is? So…The government has already blessed apps with rights just because there are claims? You don’t understand patent law. Disclosure of issued patents are nearly prior art against the patents invalidated-amended claims because it was issued. Like filing a continuation with new claims and being barred because the chain was broken due to issuance of a parent app or something. I just drew the parallel between changing claims without ptab and changing claims with ptab. If I change my patent claims in a continuation and the parent is issued before that then I’m not allowed. Why? The same reason the ptab is creating amended-invalidated claim mess. Let me break it down for you in my emotional state. A patent with invalid claims IS NOT a patented invention. 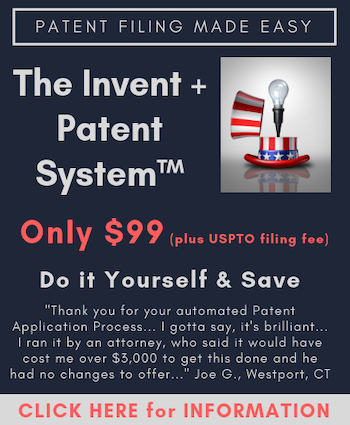 A patent with valid claims IS a patented invention. What is a patent with neither valid nor invalid claims – the claims are in limbo? Please let me know, dear Anon. Answer that for me and I’ll stop making you look bad. I mean this probably helps the author’s arguments for invalidated-amended claims not being valid. BUT, I really think it’s just more evidence that the PTAB is a major F-up…because it’s in AIA that they ARE VALID. Think of divisionals and continuations. If a parent patent issues then it bars the amendments of claims that weren’t co-pending. An invalidated-amended claim is basically a failed continuation or divisional. The disclosure stays the same – NO NEW MATTER ALLOWED. But it’s also not quite a reissue patent either. But that would be in favor of the claims being valid unlike this article argues. One could claim the “fee” is PTAB defense costs. And that PTAB is to show “defective” patents for their defectiveness. So either PTAB invalid-amended claims are more like reissue with 3rd party protest or continuation/divisional with broken chain. The only reason PTAB reissued patent claims are more likely to be invalidated is that there’s no estoppel. “Excuse me. You quoted something I didn’t write. Right back at you – learn the meaning of ipsis verbis, and then realize that what you did state was simply not correct. To wit: Your inventions IS your claims. The invention is STILL your claims. That is what your claims are. No. The narrowed claims ARE not examined – your use of “thus” is the point of the problem. Maybe you should take your own advice and “ Learn to read for comprehension and understanding” what I wrote. 2)	Whether or not “known to be valid,” is NOT the point in what I was discussing. You should recognize that courts traditionally use the phrase “not found invalid” instead of “found valid” for a reason. Your admonition of “You don’t understand patent law. Retake the bar.” is beyond baseless. That you think otherwise is why your posts here are such a joke. It appears that you want to insert things into the conversation that are not there. Maybe you might want to clarify (if only for yourself) what are the facts at hand (and to which my comments are directed). You might find that you are getting upset over things that exist only in your mind. What you think that you did and what you actually did are two very different things. What you did was jump half-a$$ed into a conversation. What are you talking about? Again, you appear to be holding a conversation while keeping elements of the conversation all to yourself in your own head. I explained the mess above. As I noted previously, if you have a reply actually on reply to something I stated, please do more than merely be upset and address the point that I have provided. “Let me break it down for you in my emotional state. Except for the fact that the only one here showing a lack of reading comprehension is you (as well as a lack of understanding patent law, which is WHY you have a lack of reading comprehension in regards to my post. By all means feel free to show explicitly in my post the error of law. “A patent with invalid claims IS NOT a patented invention. Validity is validity. Invention (valid or not) IS the claims. You may have an invalid invention. Unexamined claims are just not the same thing as invalidated claims. Claims are only invalid upon being adjudicated so. Adjudication is not the same as examination (in order to arrive at grant). The PTAB in the post grant review mechanisms are expressly NOT acting as examiners. Maybe you should understand the topic that animates you so…. The article discussing presumption is NOT the same as the article stating the claims have been invalidated. This again is an item of YOUR not understanding patent law. You are way too full of yourself – as the only one here looking bad is you. Again, validity and examination are two different concepts. Yes, the AIA mucks things up. The problem (as I have noted) is that the AIA does NOT provide for examination of replacements claims in a post grant review situation. No. This is expressly wrong. All that you need for amendments in an active application is for the chain to have been established prior to grant of the parent. Once the parent issues, you are NOT barred from making amendments after that point in a live child. Your view on this is odd and who knows where it is coming from. Why are you so intent on conflating continuation/divisional practice with post grant review? Why would you want to conflate yet another different thing?